“Gondor! Gondor, between the Mountains and the Sea! After their arrival and acceptance by the people, Isildur and Anárion put themselves to the task of ordering their realm. Isildur took the area then known as Arnen (later Ithilien) and built the tower of Minas Ithil near Mordor as a threat to the Black Land, and within its walls he planted a seedling of the White Tree of Númenor that he had taken before its burning. Anárion raised the tower of Minas Anoron the other side of Anduin's floodplain as a bulwark against the Wild Men. In between their cities, the brothers founded Osgiliath, their capital, from which they jointly reigned; these three cities also housed three of the palantíri, the Seeing Stones that the Faithful had taken with them from Númenor, to maintain contact with Elendil and the other areas under their control. 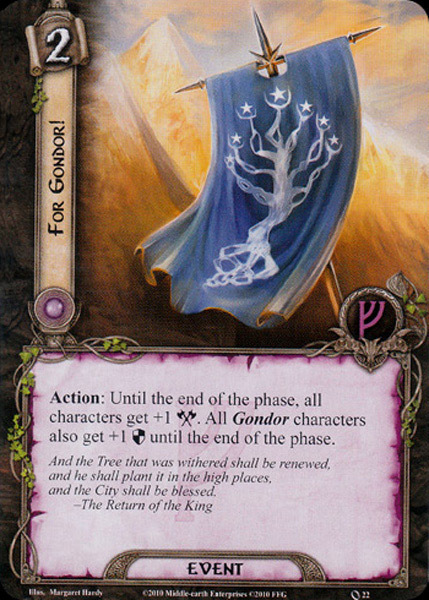 Gondor's power reached its Golden Age under the four 'Ship-kings' The reign of Tarannon was an unhappy one: he married Berúthiel, nefarious and loveless. Unlike her husband, she hated the Sea, its smells and its sounds. Mystery began to surround her as she used her cats to spy on every one, and paranoia and fear rose. After much ado, Tarannon banished her from Gondor, setting her on an adrift ship with her cats. It was last seen passing Umbar in the South. 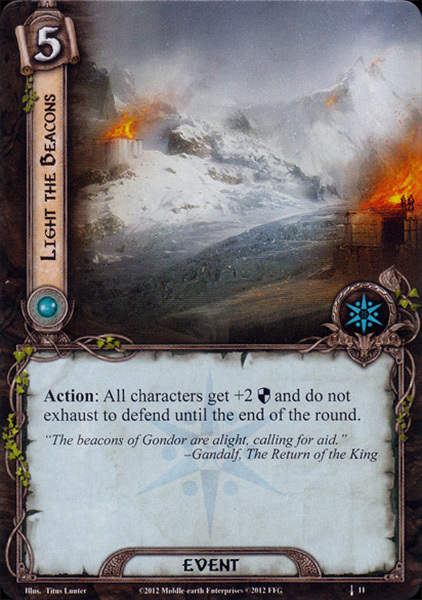 Following the sapping of Gondor's strength by the plague, the Wainrider invasions devastated Gondor, and the conflict lasted for almost a century. The Wainriders destroyed the Northern Army of Gondor, but survivors linked up with the victorious Southern Army of Gondor, led by a general named Eärnil, and they defeated the Wainriders as they celebrated their victory during the Battle of the Camp, in Third Age 1944. During the Battle of Fornost, Eärnil II's heir Eärnur led Gondor's forces to victory over the Witch-king of Angmar, who was actually the Lord of the Nazgûl. Although Eärnur wished to fight him, Eärnur's horse was terrified and fled the battle against his wishes. By the time he mastered his horse and return, the Witch-king had fled. Glorfindel the Elf then prophesied to him that it was better that he not fight the Lord of the Nazgûl because 'never by the hand of man shall he fall'. In earlier times, it was called the South Kingdom, or Hyaralondie, Hyallondie and Turmen Hyallondiéva in Quenya, and Arthor na Challonnas in Sindarin from the Númenórean point of view: the elements londie and lonnas mean 'harbour, landing'. The name Gondor was likely adopted from the lesser people's terminology and translates from Sindarin as 'Stone-land', from the words gond, 'stone', and (n)dor, 'land'. The (generally not used) Quenya form of the name was Ondonóre. 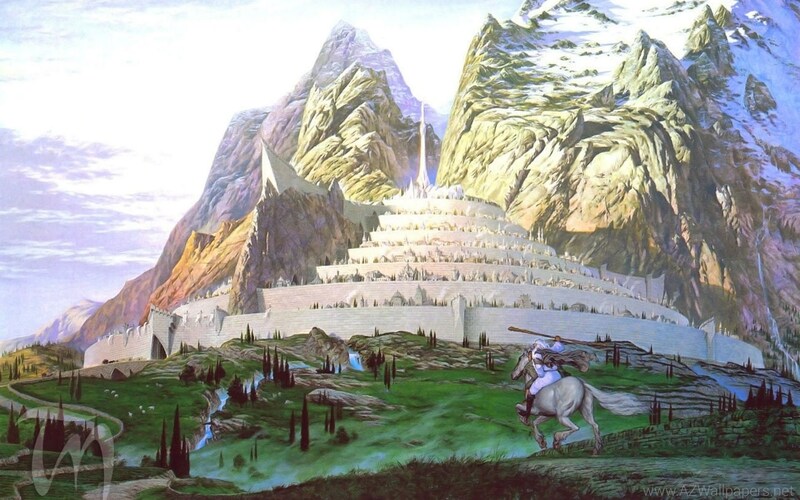 Gondor received its name because of the abundance of stone in the Ered Nimrais, and the usage of it in great stone cities, statues, and monuments, such as Minas Tirith and the Argonath. Tolkien himself likened Gondor in a degree to ancient Egypt, in terms of how Gondorians constructed gigantic stone structures, and the Crown of Gondor being similar to the crown of the Pharaohs of Egypt. Notably, some 'scholars' claimed that ancient Egypt was a colony of Atlantis, much like how Gondor was a survival of Númenor (although it is unknown if Tolkien considered this aspect). Gondor is the south-eastern portion of Elendil's original kingdom. The Byzantine Empire was the Eastern remnant of the Roman Empire. The Western Roman Empire eventually withered and dissolved, like Arnor, while the Byzantine Empire endured, although in declined state. Their geographical role is also comparable as the Byzantine Empire encircled the Mediterranean while Gondor occupied the region around the Bay of Belfalas; both were threatened by eastern and southern adversaries. The Byzantine Empire absorbed several 'barbaric' peoples like the Wends and Slavs, much like Gondor did with the Northmen and other Middle Men. As a final note, the last Byzantine Emperor, Constantine XI, remained in legend and folklore as the 'Marble King' whose messianic resurrection and return would signal the restoration of the Empire. This parallels the fate of Earnur and Gondor's interregnum period until the 'Return of the King' who restored the Kingdom. However unlike the Byzantine Empire, Gondor did not fall.